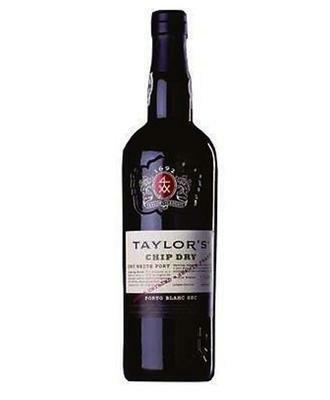 The Taylor's Chip Dry ($17.85) is a fortified wine made by Taylor's from Port with a blend based on rabigato, malvasía and godello grapes and shows an alcoholic strength of 20%. 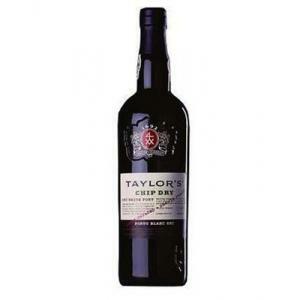 The Taylor's Chip Dry is the ideal fortified to combine with dates and candied or dried fruits. At Uvinum, this fortified wine scores an average rate of 4,2 of 5 points. - View: Taylor's Chip Dry has a pale straw color. - Nose: delicate nose with a combination of fresh fruit flavors with soft oak aromas and hints of a traditional white Porto. - Taste: Fresh, palate is lively, with good flavor and crisp, dry finish. MARRIAGE: traditionally served cold as an appetizer. You can also drink pouring into glass over ice, topped with tonic and a fresh mint leaf. Accompanied by salted almonds or olives is the perfect appetizer. - Taylor's Dry White is young and cool - to be drunk, preferably from a traditional port with a glass citroenschilletje - nine to twelve degrees Celsius. - Nose: delicate nose, fragrances of fresh fruit, complex aromas and hints of oak characteristic of a traditional white port. Best paired with other food than the one we ordered. The best company for Taylor's Chip Dry White is a good conversation. It had an intense colour. Astringent. It's so good, it's best to drink it without monitor. 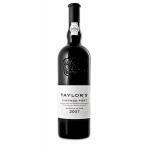 If you want to buy Taylor's Chip Dry, at Uvinum you will find the best prices for Port fortified wine. Get it at Uvinum, fast and 100% secure. We offer your over 59.000 products for sale becoming this way the biggest company to sell wine, beer, and spirits online in Europe with more than 38.000 clients who trust us.